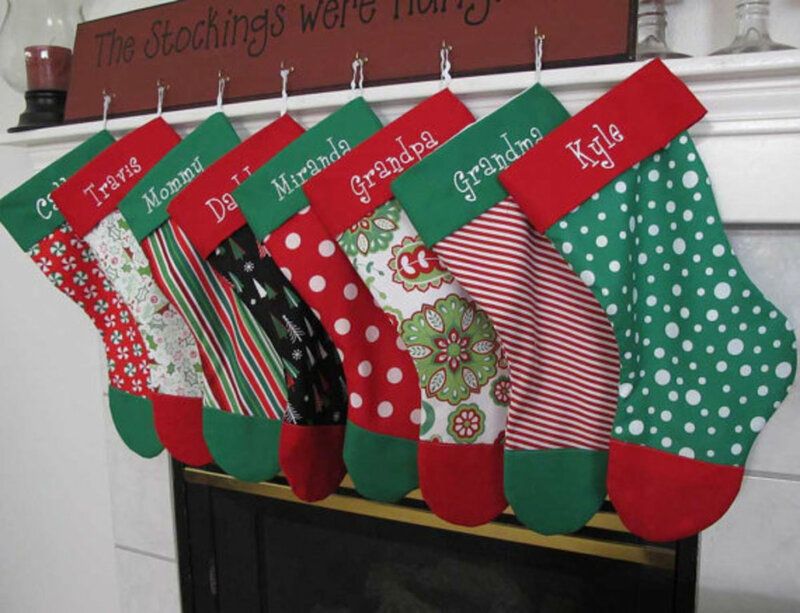 Handmade Christmas stockings remain among some of the more popular Christmas items people love to make, and there's no lack of designs and styles you can choose from; whether you create your own blueprints for them or not. 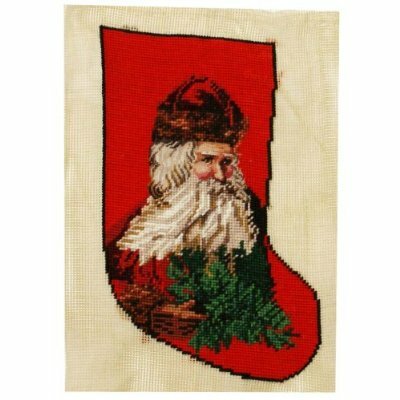 Even with some of the very fancy looking Christmas stockings you can buy today, there is something about a homemade Christmas stocking which, even if not to the quality standards of machine made Christmas stockings, at least include the warmth and importance that someone you loved made it. 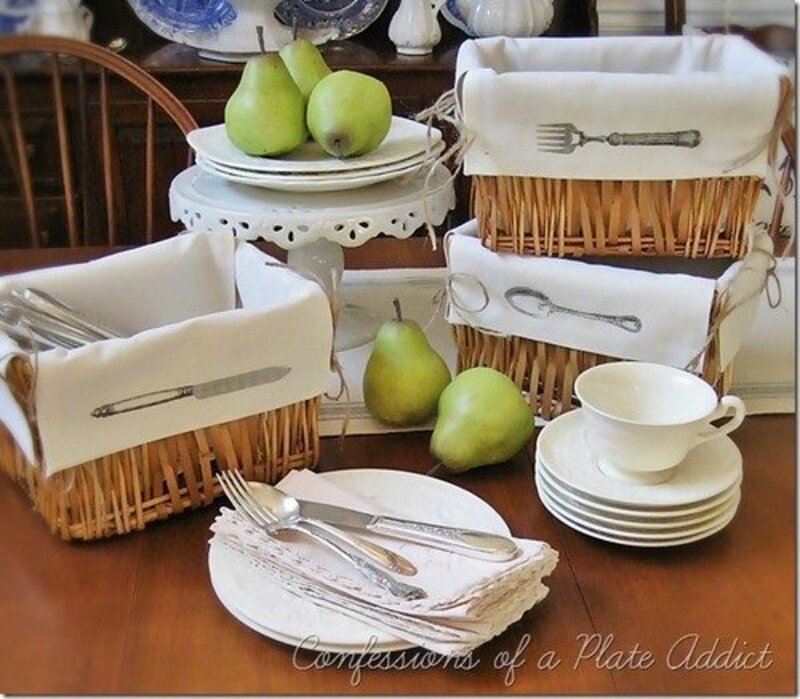 It is usually considered a far more important family heirloom than one bought from a manufacturer. 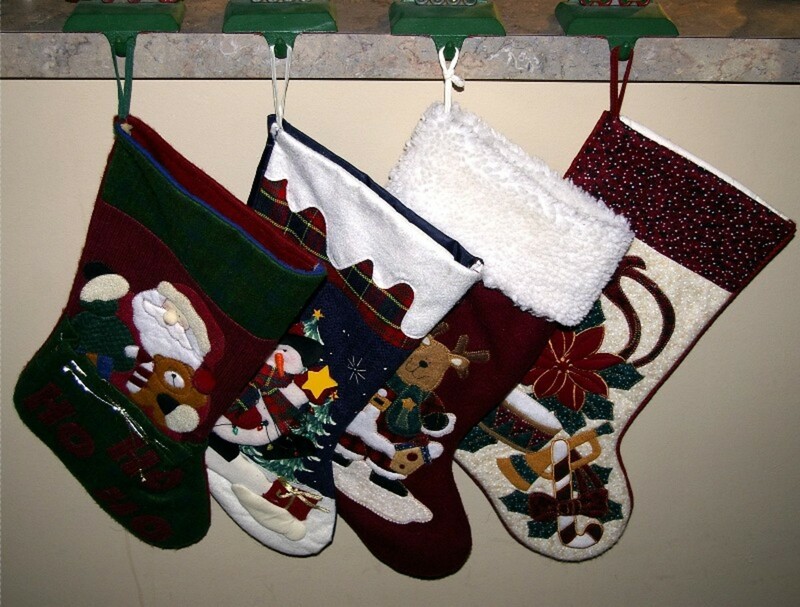 I still have my knit Christmas stockings my mother made for me and my children, and they're still the ones I appreciate the most, even though there are better quality in the sense of how they look and the design. Anyway, I've included a few photos of some handmade Christmas stockings; some made from designs of the artisan, to those designed by others. Either way, they add a personal touch a pre-made Christmas stocking just isn't able to offer. The nutcracker has been a big part of Christmas for a long time, and the Nutcracker ballet I'm sure is a big part of that popularity. 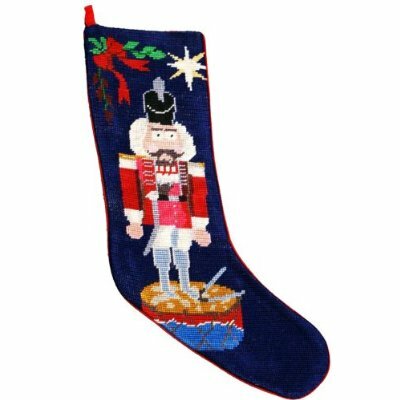 For the Christmas stocking below with the nutcracker figure on it, it's a needlepoint stocking which has a lot of fun elements that would be challenging to work with. I personally like how it looks. 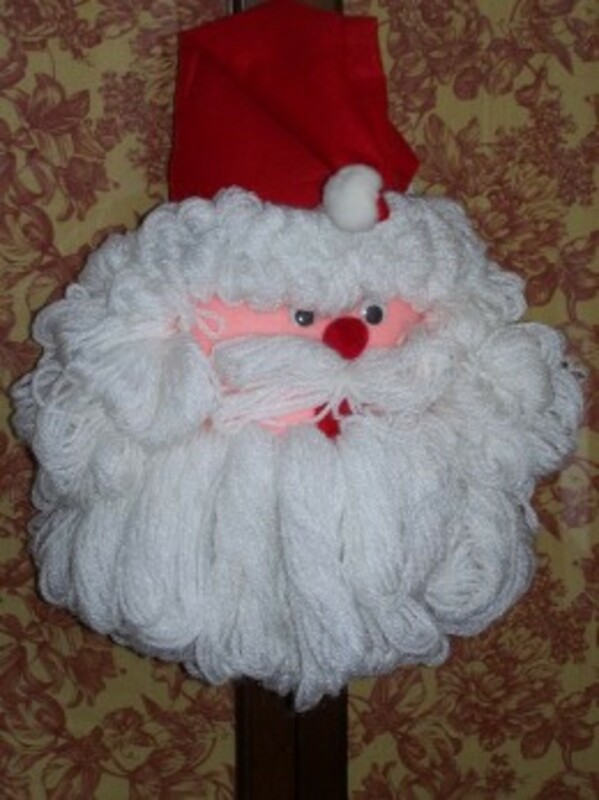 I very much like this handmade Santa stocking, and the hat and face of Santa are just outstanding. Of course that assumes we put that guy together right. The fullness of the beard and richness of Santa's cap are terrific to me. 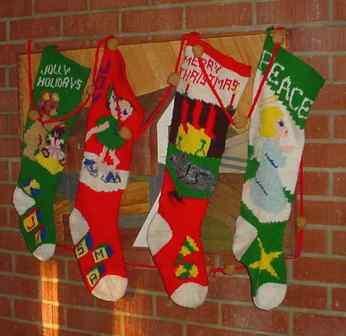 This particular batch of Christmas stockings remind me of those made by my mother long ago. 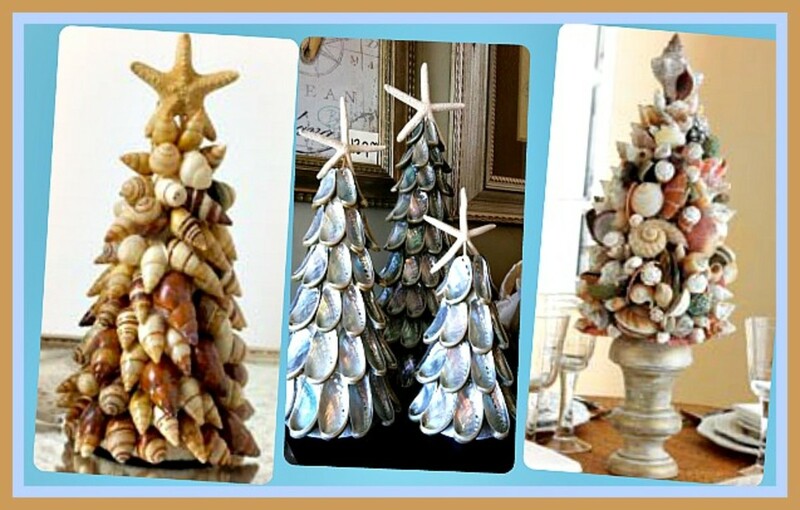 While the designs are different as far as the images go, the overall length and color is very similar. Great, knit Christmas stockings. 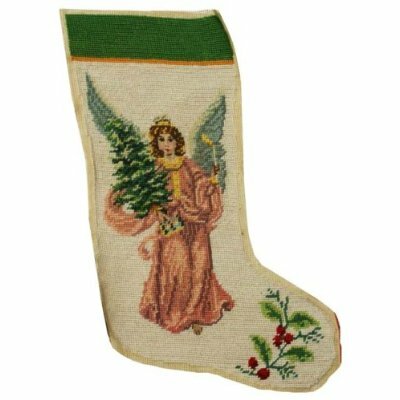 Angels always work great at Christmas time, and this needlepoint angel stocking is fantastic. Although I'm not sure it was planned that way, I do like the lighter green wings of the angel with the darker tree being held by the angel. The brown or tan robes of the angel look great too. 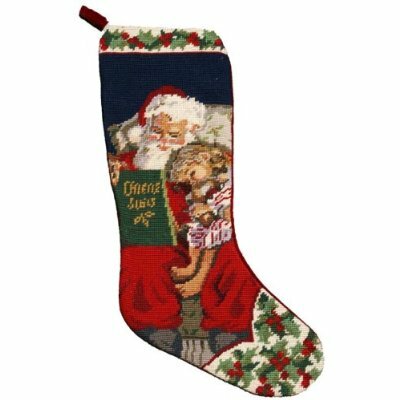 What a beautiful Christmas stocking here that absolutely captures the essence of what it would be for Santa to have a little child on his lap reading to her while she falls asleep under the cadence of his words. I love the nodded head of the little girl leaning against Santa. Fantastic! 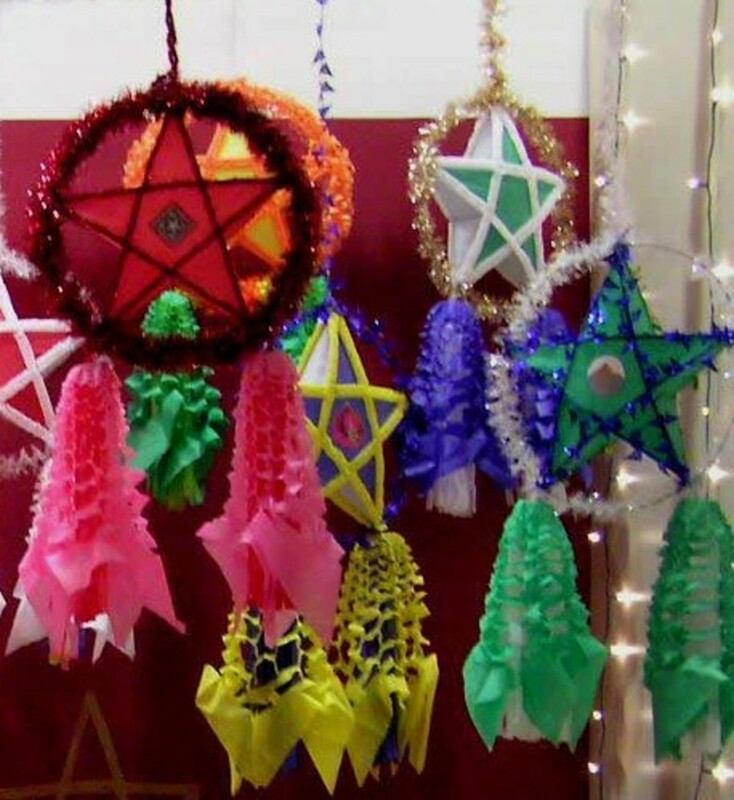 As you can see from these many handmade Christmas stockings, they can look as good or better than many of those you buy already made. 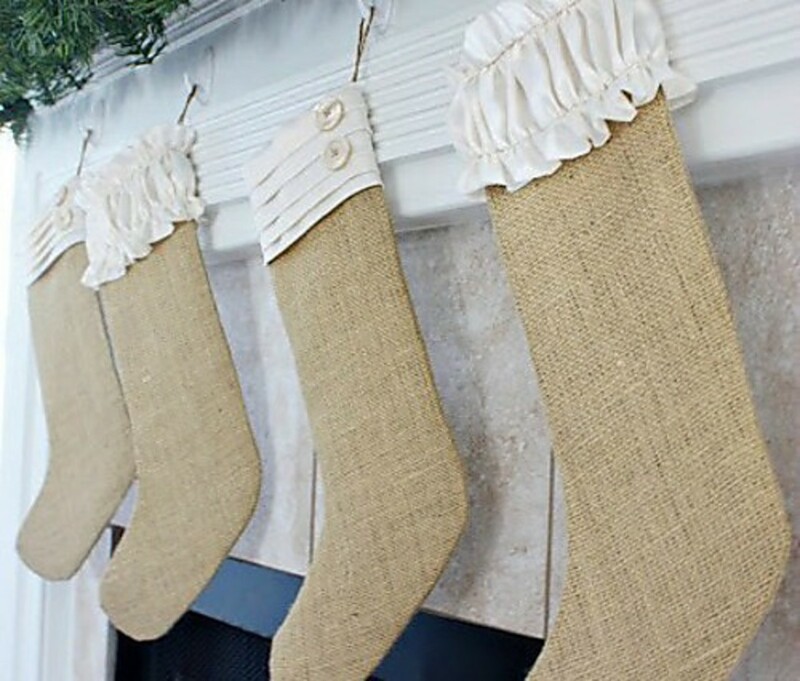 But let's face it, it's the love and memories connected to the one that made it for us that make handmade Christmas stockings so wonderful. And the fact that they can also look great is just an added bonus.